Washington | Reuters — J.M. Smucker Co. said on Tuesday it will abandon its plan to acquire Conagra Brands’ Wesson Oil brand after the U.S. Federal Trade Commission had moved to block the deal arguing it would likely lessen competition and violate anti-trust law. “We have determined that it is in the best interest of our shareholders, customers and employees to terminate the agreement to sell the Wesson oil business to the J.M. Smucker Company rather than pursue litigation,” Conagra said. Smucker owns the Crisco brand. If it acquired the Wesson brand, it would have controlled at least 70 per cent of the market for branded canola and vegetable oils sold to grocery stores and other retailers, the FTC said in a statement. Conagra announced plans to sell the Wesson brand for about US$285 million in May 2017. Conagra, the maker of Chef Boyardee pasta and Orville Redenbacher’s popcorn, sold its loss-making private-label business in 2016 to TreeHouse Foods and spun off its Lamb Weston frozen potato business. J.M. 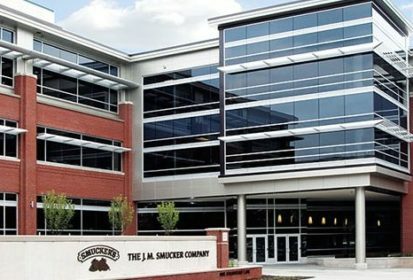 Smucker had said it expected the deal to add about US$230 million to its annual net sales. The FTC said retailers and ultimately consumers “would likely face higher prices for branded canola and vegetable cooking oil” if the deal was approved. The FTC said the deal was struck after attempted price increases by each brand over the past two years that were limited by intense competition from the two rivals. The FTC said Smucker’s internal documents acknowledged that eliminating price competition between Crisco and Wesson was a central part of its rationale for the acquisition. — Reporting for Reuters by David Shepardson.